WILLEMSTAD - There will be closer cooperation between Curaçao and the Netherlands in the field of world heritage and historic preservation. To achieve this the outgoing Minister of Traffic, Transport and Spatial Planning Suzy Camelia-Römer and the Dutch Minister of Education, Culture and Science Jet Bussemaker signed a cooperation protocol last weekend. The protocol was signed in the context of the twentieth anniversary of the World Heritage in Curaçao on December 4 next year. 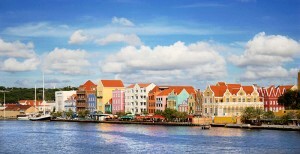 The collaboration will probably not involve extra funds for the preservation of Willemstad which is the island’s World Heritage.